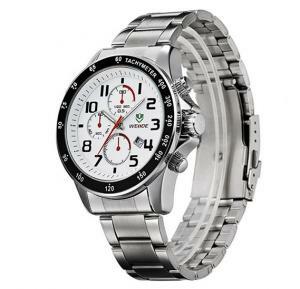 The battery of watch can be used for long time. Specification It is said that a successful man must have a simple and elegant wrist watch, which can show his man charm. 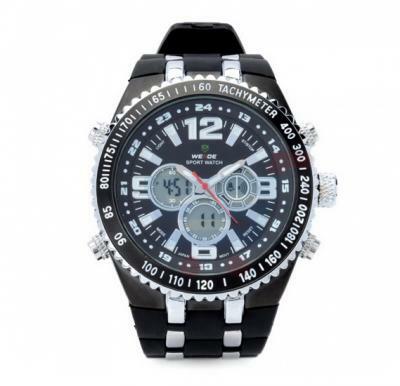 For this reason, when it comes to choose a wrist watch for men, you have to be as careful as possible. 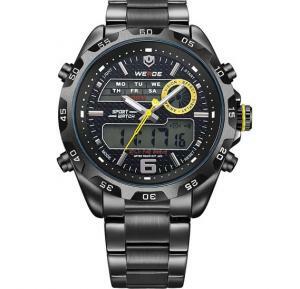 Now this WEIDE WH1107 Sports Man’s Rubber Band Quartz Analog & Digital Waterproof Wrist Watch – Black is introduced to you. With fashionable and elegant design, this wrist watch can make you stand out from the crowed. At the same time, it has the function of waterproofing. 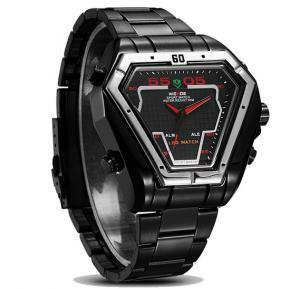 This high-quality wrist watch will not let you down.